swiss.blackfriday is the first marketplace of the Black Friday and Cyber ​​Monday offerings from Swiss e-tailers. The website is an aggregator of Black Friday promotions: best online discount deals for more than 200 brands, including all kinds of e-shops, from small ones to market giants like Manor, Globus, Apple, HP, Zara and even Mediamarkt. 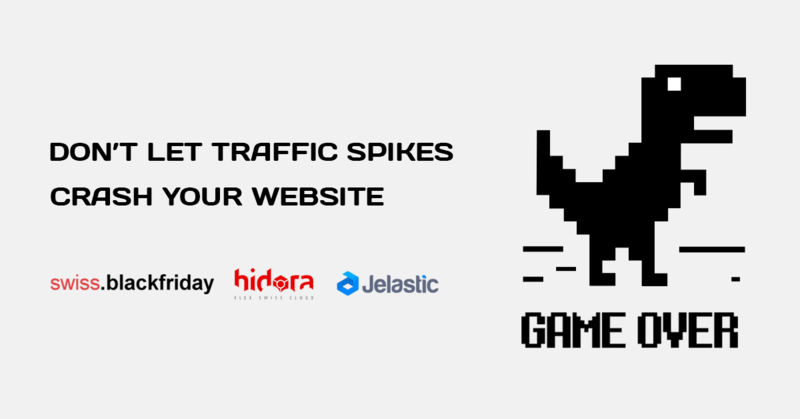 Find more details on how the company stopped struggling from massive traffic load spikes and successfully generated great income, running their website on Hidora hosting provider powered by Jelastic PaaS.